“When it comes to preaching the Word of God, a man will never follow the right course if he cannot forget self, and close his eyes to anything that might distract him in this world from acting according to God’s pure ways. Indeed, he will surely stray away from the path, first to one side, then to the other. Hence, God’s doctrines are often corrupted because those who ought to preach them are inclined to malevolent, or to seek the favour of their hearers. They may fear to incur bad feeling or to provoke anger against themselves. Therefore, it is impossible for us to serve God in our natural state; we must be absolutely determined, with unshakeable constancy, to suffer for the doctrines that we preach, and not to let this cause us grief. We must fight under the ensign of our captain, Jesus Christ, knowing that we cannot share in the glory of his resurrection if we have not first suffered with him, following his example. All believers must certainly strengthen themselves to do these things. . .
Taken from: John Calvin’s Sermons on Galatians. (Copied from Reformed Bibliophile, http://www.erictyoung.com ). Send that man on the Sabbath morning to hear some hedge and ditch preacher, some one who cuts the king’s English about never so badly, but who preaches Jesus Christ-you will see the tears rolling down that man’s face, and when he comes out he will say, “I do not like that man’s bad grammar; I do not like the many mistakes he has made, but oh! it has done my heart good, for he spoke about Christ.” That, after all, is the main thing for the Christian; he wants to hear about his Lord, and if he hears him magnified he will overlook a hundred faults. “A very poor sermon indeed,” said he. “Yes,” said the young man. Taken from the sermon on 1 Peter 2:7 by Charles H. Spurgeon. Delivered on March 13, 1859. Malawian Presbyterianism: Are We Standing or Falling like PCUSA? Last Thursday, (June 19, 2014), the Presbyterian Church of United States of America (PCUSA) passed a resolution to allow gays or lesbians to marry in church. Now, this has shocked some but I am not really shocked. Why? Because this is just one of the fruits of steps that were taken many years ago beginning from 1920s. • refuse to rank ecclesiastical authority or the authority of the Bible above that of the individual Spirit-led conscience. (In other words, man can decide what or what not to believe in the Bible). (http://www.layman.org/Files/how-we-got-here-updated.pdfhttp://www.layman.org/Files/how-we-got-here-updated.pdf). This declaration led to many things like increased focus on social justice to the extent that salvation, in some cases, is viewed as a mere liberation from poverty and social injustice. This focus on social justice and human rights also led to less emphasis in following the Bible when it comes to the ordination of who is to be a deacon, an elder or a pastor in the church as outlined in 1 Timothy 3:1-13 and Titus 1:5-9. Now, we might look at PCUSA and think, “That’s America, it will never happen to the Presbyterianism in Malawi. But “Let anyone who thinks that he stands take heed lest he fall,” (1 Cor. 10:12). The Presbyterian Church in Malawi partners with PCUSA in a number of areas. A good number of PCUSA congregations also have exchange visits with Presbyterian congregations in Malawi. I wonder and fear if PCUSA will not influence our Presbyterian church or if it has not already influenced it somehow knowing that bad company corrupts good character (1 Cor. 15:33). These are my concerns and fears. I believe that all of us including our leaders should ponder on these things lest some years from now, we will also find ourselves in the same place where PCUSA is now. Thanks for reading. May the Good Lord bless you as you reflect on this post and search the Scriptures to ascertain if these things are so (Acts 17:11). 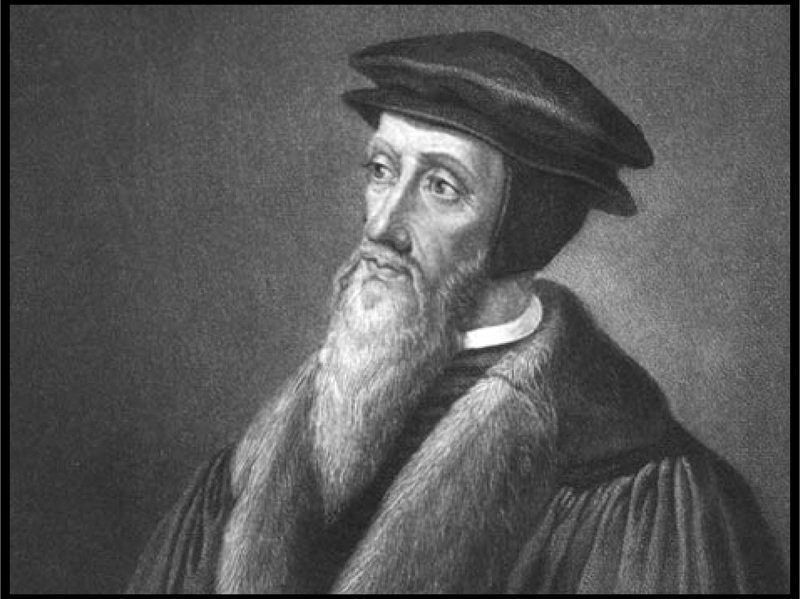 One major aspect of John Calvin’s ministry was his form of expository preaching of the books of the Bible verse by verse also called lexio continua. On Sundays, Mondays, Wednesdays and Fridays, Calvin climbed up the steps of the St. Pierre Cathedral’s pulpit and patiently led his congregation verse by verse through book after book of the Bible. He often preached two to four verses in a sermon; however, in some instances he would preach two to three consecutive sermons on one verse as was the case with 1 Timothy 2:5 and 2 Timothy 1:8 respectively. As he tackled each verse, he would explain its meaning and apply it to his congregation. In order that true religion may shine upon us, we ought to hold that it must take its beginning from heavenly doctrine and that no one can get even the slightest taste of right and sound doctrine unless he be a pupil of Scripture.” (1.6.2)….“We affirm with utter certainty (just as if we were gazing upon the majesty of God himself) that (the Bible) has flowed to us from the very mouth of God by the ministry of men” (1.8.5). For what ought sermons and doctrines be, except expositions of what Scripture contains? Truly, if we add the slightest nuance, it only results in corruption. Our Lord has left us a perfect doctrine in the Law, the Prophets, and the Gospel. Thus, what ought we be preaching today? We ought not be adding anything new to the text, but ought to be providing a clearer exposition that would confirm our understanding of God’s teachings. That, I repeat, is the purpose of any sermon or lecture we hear, that we might each be better instructed with respect to God’s will. That way, whenever we hear anything, we have a basis for inquiring whether God has spoken or not. By the same token, all who are charged with preaching God’s Word know that it is wrong of them to add anything of their own, or anything they might event. They must be certain that what they preach is not of their own conjecture but derives from God, who guides them on the basis of his certain and infallible word. So the teaching which is put forward in the name of God ought to be as authoritative as if all the angels of heaven descended on us, as if God himself were manifesting his majesty before our eyes (but) it is true that when men speak we must weigh their words carefully. For if one were willing to receive everything that was put forward, there would be no distinction between liars and false prophets who seduce men’s souls and the true ministers of God. Now, just as many preachers are themselves far too given to ambition and in order to find grace and favor seek only what will please, so also on the other side the people are the cause of making preachers swerve aside from the good way. And why? Because, men have ‘itching ears’ and want to be fed with pleasing stories and buffoonery or ‘old wives’ fables as St. Paul calls them here. Seeing that men have such desires –like pregnant women whose cravings are inordinate –ah well this is the cause of some preachers degenerating and disguising themselves and transforming God’s teaching, which is as bad as destroying it. Calvin fully understood that due to the fallen nature of man both the preacher and the hearer might lean toward preaching and hearing messages that do not disturb them in their comfort zone. Since due to the fall, man is in constant rebellion against God, the fallen nature in the preacher and the hearer might pull them away from the faithful proclamation and hearing of God’s word. However, when lexio continua is the method of preaching in a congregation both the preacher and congregant are forced to fully submit to the whole counsel of God as it unfolds verse after verse and book after book of the Bible; thereby, fully proving that the Scripture as God’s Word is profitable for doctrine, for reproof, for correction, and for instruction in righteousness (2 Timothy 3:16). Lexio continua preaching has a lot of benefits for the church today. First, it is one of the real ways in which full submission to God’s word both by the preacher and the congregation is demonstrated. The main challenge that the Church faces today is full submission to God’s Word. Due to the fallen nature of man, we tend to choose what we want to hear, and as the Church is bombarded with liberal and humanistic challenges, the temptation to choose what to obey and practice from the Scriptures also increases. However, where the word of God is preached in lexio continua form, both the preacher and the congregation are compelled to be subservient to God’s Word and to have their minds taken captive by it. Secondly, lexio continua preaching frees the pastor from the temptation of preaching his mind instead of God’s word. Calvin observed that lexio continua preaching delivers the preacher from the temptation of esteeming or deciding at his pleasure what is profitable to be uttered and what is useless to be omitted. Lastly but not least, related to the above points, Calvin’s type of expository preaching affirms God’s sovereignty in preaching. As he rightly portrayed the preacher as the ambassador of Christ, the minister’s main goal then is similar to an earthly ambassador who is commissioned to advance and protect the interests and of his country. The ambassador demonstrates this commitment both in his words and actions. Similarly, the preacher has no any other agenda apart from seeking to affirm God’s sovereignty in the proclamation of the gospel. God’s sovereignty is affirmed when the preacher allows the Scripture to guide the agenda of preaching in the church or ministry.